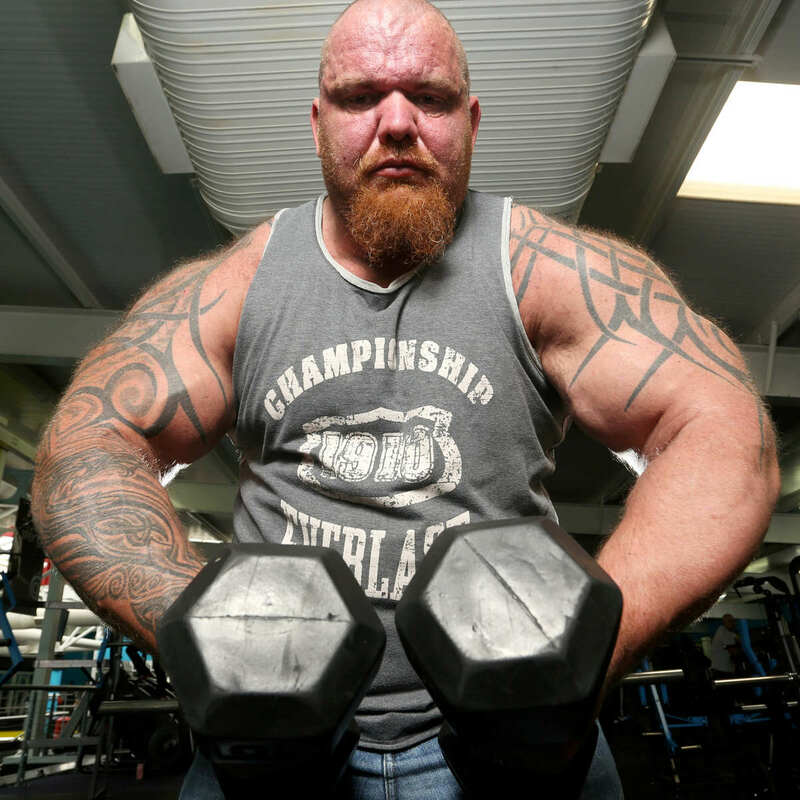 A bodybuilder has turned his life around to claim the title of the UK’s largest biceps. 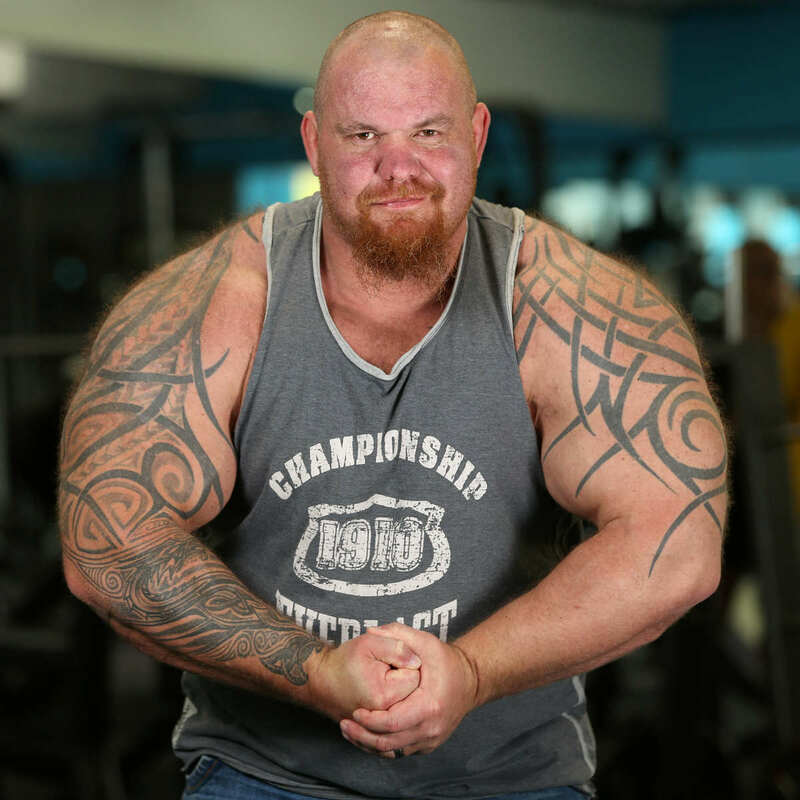 44-year-old Dave Crosland set the new record with his guns measuring a massive 25 inches, and supports his muscle mass by eating 10,000 calories a day. As reported by SWNS, to achieve his hulk-like size Dave trains six days a week with weights up to 280 lbs. The father-of-three eats every 90 minutes, consuming oats mixed with whey protein for breakfast, and following that with six servings of chicken or beef, with rice and green vegetables throughout the day. Dave – from Holmfirth, West Yorkshire – started weight training when he was just 15-years-old but gave up the sport in his early twenties following a muscle tear in his left arm. 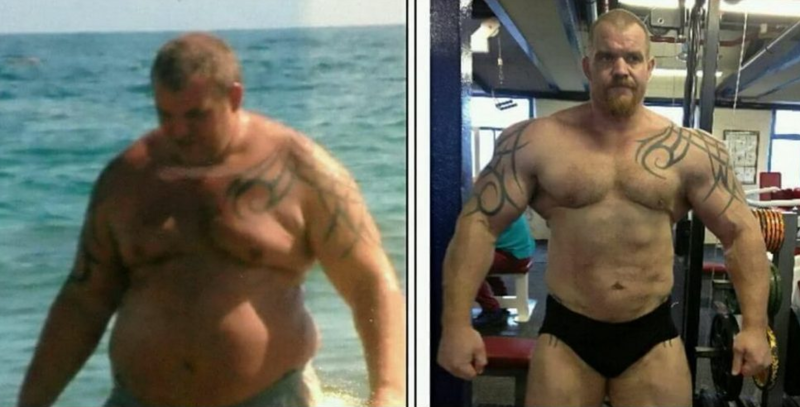 He started lifting again seven years ago, training four days on and one day off. I’m not even massively strong on my biceps. It is more about the way I train – it is very intense. I wasn’t trying to get the biggest. It is just one of those things. I saw Tiny Irons at the Body Power expo and I had a photo and I saw that his arms weren’t anywhere near the size of mine. I used to be about getting bigger – and I think my arms probably used to be bigger – but now I’m just about being healthy. It’s a bugger trying to get shirts. I have to get them made by a tailor. Dave does admit to having a past of steroid use, and although he no longer uses performance enhancing drugs he is often called upon as an expert witness in court cases regarding the issue. Crosland has also appeared in Under Construction 2, a documentary where he discusses PED use in bodybuilding. Dave has some way to go if he is to match the former Guinness World Record though, which belonged to Egyptian Mustafa Ismail. Ismail set the bar at a gargantuan 31 inches, but the organisation have since scrapped the record amid concerns of illegal supplement use. Hats off to you on the achievement Dave!